Such pretty earrings! 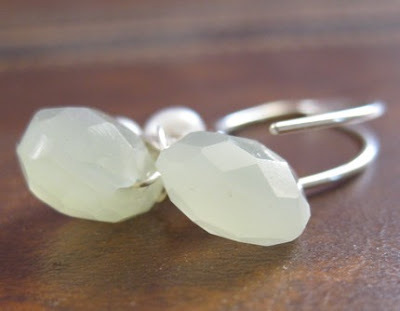 These sterling silver and freshwater pearl earrings also feature soft greenish-yellow chalcedony. Find them at Justine's Originals.